The course is ready, the horses are settled in at the Kentucky Horse Park, and the Land Rover Kentucky CCI**** begins tomorrow with the first horse inspection. More than 50 combinations are ready to tackle the toughest event in the United States, and while Michael Jung will be looking to take his fourth consecutive title with fischerRocana FST, there are so many other combinations that we’re rooting for to succeed. Read on for the Chronicle staff’s top picks. Phillip Dutton and Z. Photo by Lindsay Berreth. As much as I would love to see a new victor at Kentucky this year, I’m not overly optimistic that anyone will be knocking Michael Jung off of his throne in 2018. But I’m looking forward to hopefully excellent showings from Phillip Dutton and Z, as well as Lynn Symansky and Donner. Z is an incredibly exciting horse, and with Phillip in the irons, this could be a truly formidable combination for the U.S. While Z can get nervous in the dressage phase, his recent tests are showing what he’s made of as he becomes more of a professional in the sandbox. 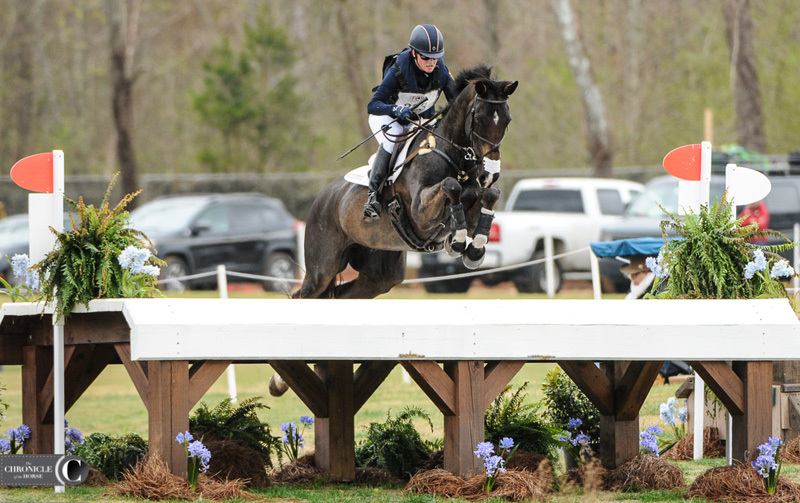 While no one can know a horse is truly a four-star competitor before they’ve successfully tackled one, Z jumps for fun. Even with this being his first four-star, I think he could finish on his dressage score. Lynn Symansky and Donner. Photo by Lindsay Berreth. And Lynn and Donner are top four-star veterans, and they’re not strangers to the Kentucky Horse Park either. At 15, Donner is only getting better. He can put three very good phases together, and I’m hoping that we get to see one of his very best performances this weekend. My fingers will be crossed for a clean round for them on Sunday, and that the odd rail won’t keep them from their best four-star finish yet. Pawel Spisak and Banderas. Photo by Lindsay Berreth. This year I’ve picked an underdog to root for: Pawel Spisak. This Polish rider trains with Michael Jung. 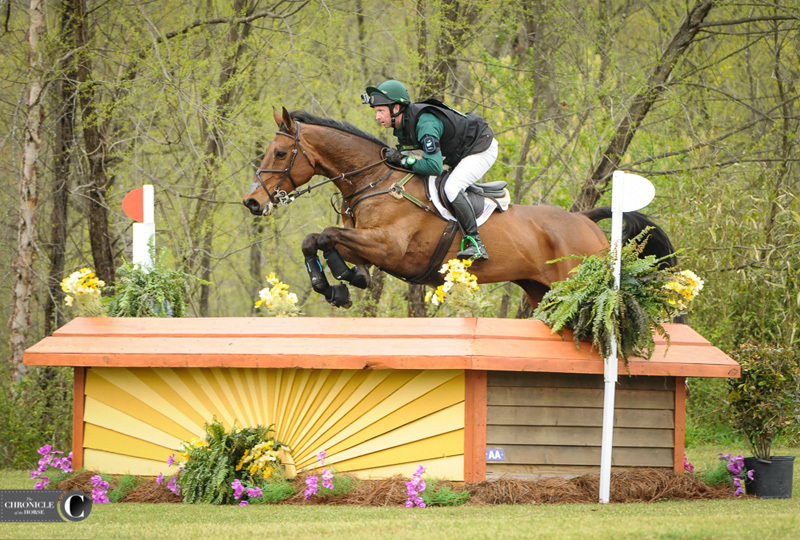 While the 36-year-old has ridden in four Olympic Games, the Land Rover Kentucky CCI**** will be his first true four-star event. Spisak will be bringing Banderas, who finished second behind Jung and fischerRocana FST at the Pratoni del Vivaro CIC*** (Italy). The game chestnut is always looking for the flags, and they’re fun to watch. Outside the tack Spisak spends time with daughter, Wiktoria, and his wife Iza, both equestrians themselves. Michael Jung and fischerRocana FST. Photo by Lindsay Berreth. I could write you a very, very long list of the injuries my horse has sustained in the last year alone, ranging from the mild to the more serious. I won’t, because you’ve likely never met my horse, and lists are boring. But my point? I know I’m not alone. Horses are accident-prone partners, even if you keep them in safe fencing and in safe barns (I swear that I do! )—capable of hurting themselves on trailers, in stalls, in turnouts, in rings, on cross-country courses and anywhere and everywhere in between—and everyone on the Kentucky entry list knows the realities of caring for and riding these fragile creatures, as does every rider on every entry list everywhere. But no wait, almost everyone on the Kentucky list knows the realities of having a fragile partner. There appears to be one exception. His name is Michael Jung. 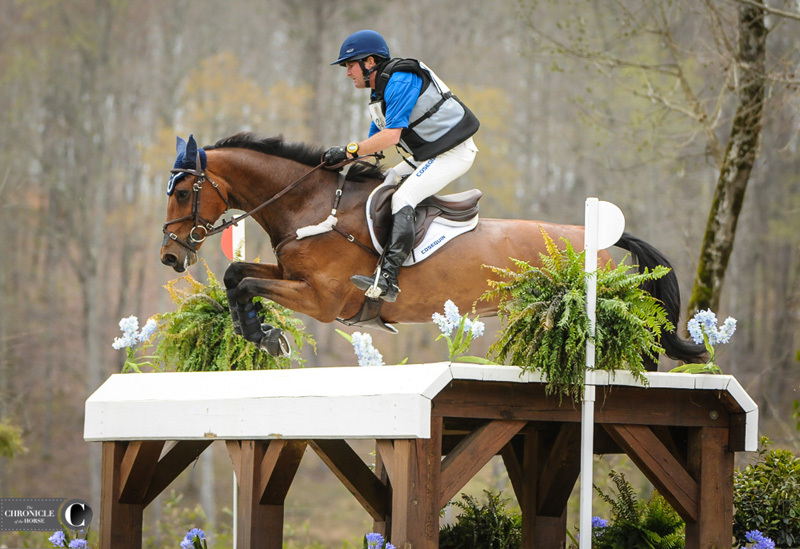 You might have noticed that Michael Jung won the last three Kentucky CCI****s in a row with the same horse, and he’s the hot favorite to win this year’s too. What are the odds that a horse stays sound to even enter four Kentucky four-stars in a row, much less make it around cross-country without incident and win every. single. time? I don’t know the odds. But I can recognize when something amazing is happening—and it’s clearly happening with Michael and “Roxie.” An underdog winning might make a great story, but so does an unstoppable run like the one they’re facing. So I salute you, Michael Jung, for your amazing streak of … whatever it is—incredible luck, an unreal partnership, absolutely expert horse management (Can you teach me? ), maybe you made a deal with the devil at some point (You could also teach me that maybe? ), probably a combination of all the above. Whatever it is, it’s working—and it is really fun to watch. Will Coleman and Tight Lines. Photo by Lindsay Berreth. I’m really hoping for a good finish for Will Coleman and Tight Lines. 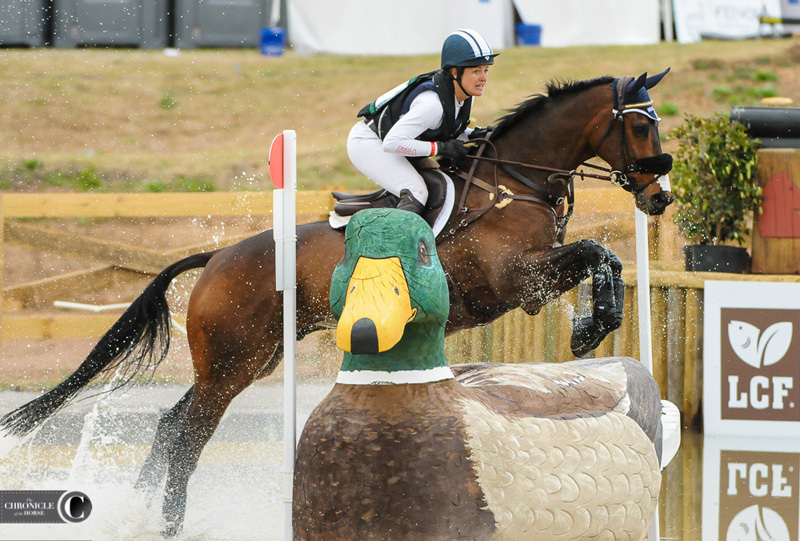 Formerly a steeplechaser in France, “Phish” can get a bit tight in the dressage, but he jumps around cross-country for fun. He had a couple of issues on cross-country last year in his first four-star at Kentucky, but he has a whole year more experience this weekend and rarely has a cross-country jump penalty. 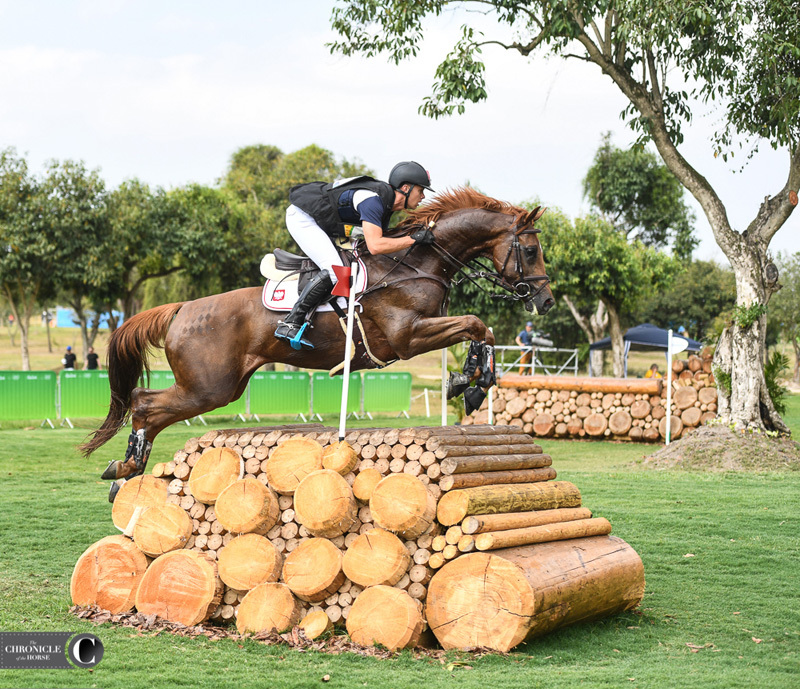 Coleman is aiming for a spot on the FEI World Equestrian Games (North Carolina) team this fall, six years after his last team appearance at the 2012 London Olympic Games. I’m hoping he can impress this weekend. Kim Severson and Cooley Cross Border. Photo by Lindsay Berreth. As I scrolled through the Land Rover Kentucky entry list hunting for someone who might possibly have the ability to beat Michael Jung or at least make him work for the win, my eyes stopped at Kim Severson. She’s had her ups and downs with Cooley Cross Border, but classy horsewoman that Kim is, she’s never once blamed her steed. She just keeps plugging away to put all the pieces in place in order to help him become a solid four-star contender who can compete on the world stage. I’m not exactly going out on a limb to suggest that the U.S. rider most likely to reclaim the Kentucky four-star crown is the one who’s done it three times already, but I have my fingers and toes crossed that her star is on the rise again. 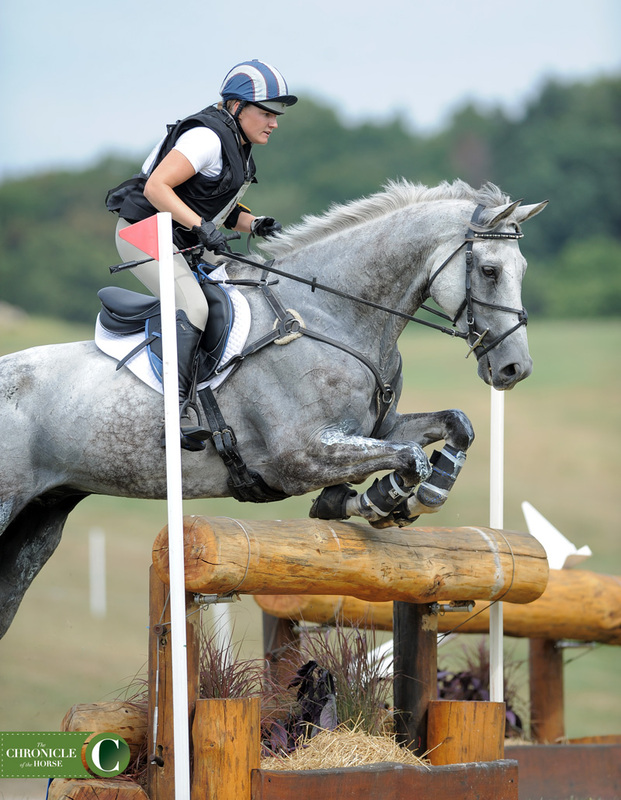 Because, not only is Kim an amazing rider and horse trainer, but she’s also just an awesome person—honest, funny, smart and dedicated to helping her students meet their goals, whether that’s a confident run at novice or competing in the Olympic Games. Plus her dog is named Gouda, and who doesn’t love cheese? Sara Gumbiner and Polaris. Photo by Lindsay Berreth. There aren’t many four-star first timers this year, but one pair that stands out is Sara Gumbiner on Polaris. With her diminutive frame and his gigantic size, they can appear mismatched, but Gumbiner’s put in the hard work with “Larry” to make her dream of riding at a four-star come true. Larry is not a fan of dressage, but luckily he goes on Thursday before the big crowds arrive. Gumbiner’s brought him along from a 5-year-old and knows him inside and out, so look for a huge smile on her face when she crosses through the finish flags on Friday. Check out the Chronicle’s Kentucky Preview issue for a profile on Gumbiner. Tim Bourke and Luckaun Quality. Photo by Lindsay Berreth. 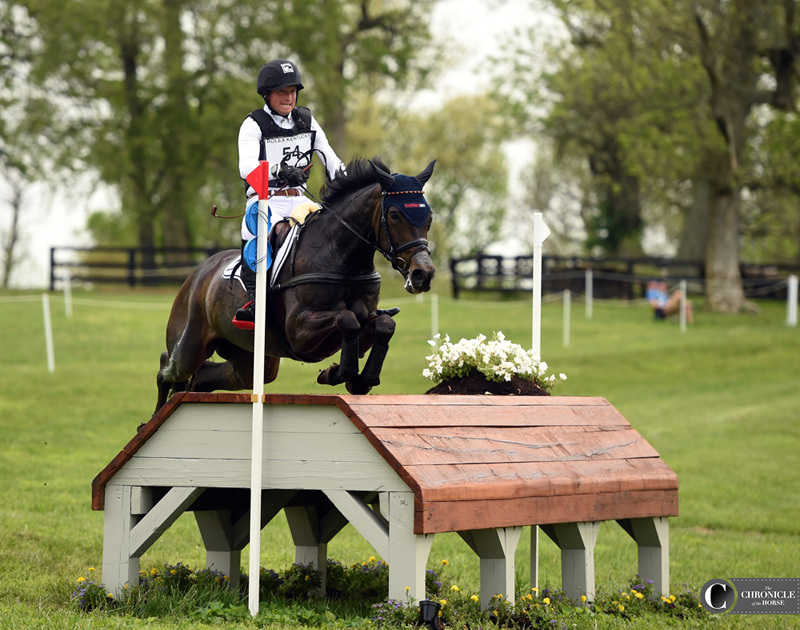 I’m pretty lucky to have started my foray into eventing after moving to Middleburg, Virginia. With so many top eventers within a short drive, I’ve hit the educational jackpot, so I’ll be rooting for two of the trainers who’ve guided me on this crazy journey of becoming an event rider, Tim Bourke and Sharon White. Tim worked for Sharon for several years, so they have similar teaching styles that demand excellence of their students while encouraging you even as things are falling apart at the seams. Tim’s horse Luckaun Quality is a cross-country machine, so I imagine he’ll make quick work of this year’s track, and with any luck they’ll finish on their dressage score. It’s been a ton of fun watching Cooley On Show progress, and Jimmy Wofford’s picked Sharon as a contender for a top finish, so I’m hoping they live up to his predictions. 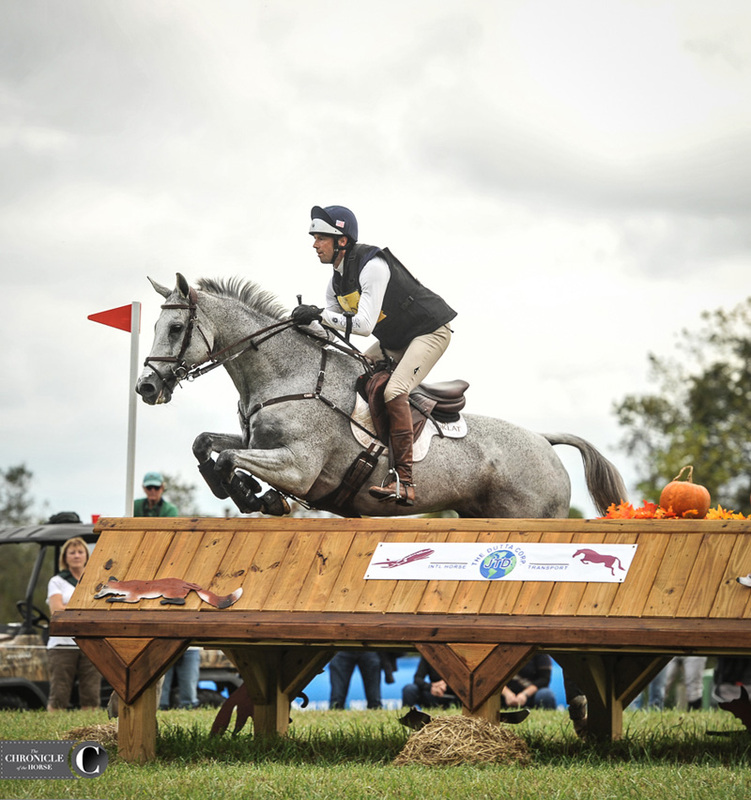 Besides, who doesn’t love a flashy gray who jumps in stunning form?